Yanique Curvy Diva blazed the Reggae Sumfest stage last week in Montego Bay. The media vixen turn Dancehall artiste performed on two separate night during the week-long festival. 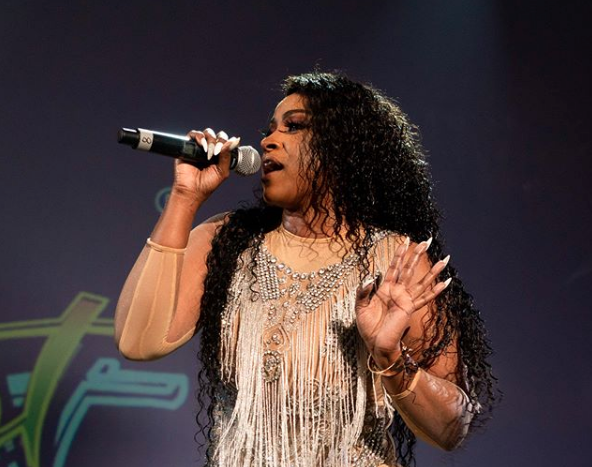 Speaking on her Dancehall night set which marked a major milestone in her fast-rising career, Yanique Curvy Diva said she couldn’t hold back the tears when she arrived at the venue to take the stage as an artiste and not a host. “It was such an emotional performance for me, I wish the 2018 Curvy Diva could go back in time to the 2010 Yanique and tell her not to give up, not to push the dream of being an artiste to the back and hosting to the forefront,” she wrote. “Mi start tear up from mi arrive at Sumfest in my assigned artiste bus with my team of over 15 people. When mi hear the security seh “clear the way mi a carry the artiste and her team to her tent” 😭 when mi hear dem start to introduce me not as a host but as an artiste (bawl) 😭😭😭,” the “Lifestyle” singer wrote. “In less than a year of me being an artiste I’m so grateful for all my blessings 🙏 from being nominated 4 times for the YVA’s in categories with well established artistes, to travelling the world…from Africa, London, Canada and in the Caribbean 🙏 to now being on the greatest reggae show on earth, Reggae Sumfest. There is indeed room for improvement and I can not wait to see what the rest of the year is going to be like. Only the beginning,” she continued.